The Teller-Park Conservation District (TPCD) was established in 1942 according to the Soil Conservation Law in Colorado. The TPCD is comprised of private, State, and Federal lands and includes rangeland, non-irrigated pastureland,and irrigated hayland as well as recreational, urban, and mined lands. 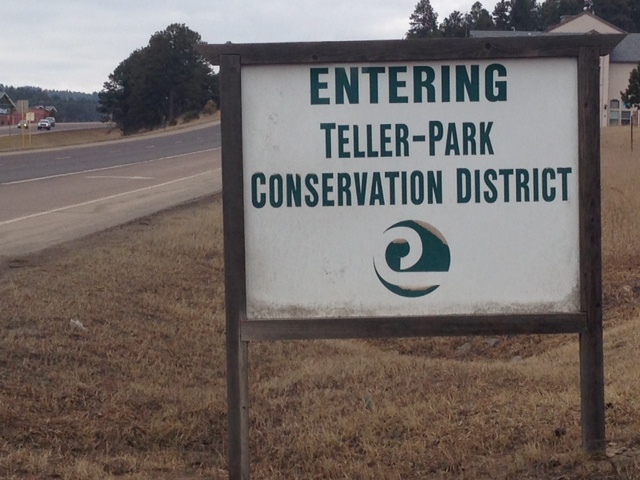 As one of 3000 conservation districts nationwide, and one of 76 conservation districts in Colorado, the Teller-Park Conservation District helps people to conserve land, water, forests, wildlife habitat, and related natural resources. We share a single mission to coordinate assistance from public, private, local, state, and federal resources to develop locally-driven solutions for natural resource concerns. Education is a vital part of our mission. We participate in local events and conduct workshop, talking to folks about conservation topics, native grasses and weeds. We also provide education programs for schools in both counties. Stop by our office for more information and to purchase custom seed mixes for nature pasture, grasses, and wildflowers--seed mixes specific to our altitude and growing conditions! Franklin D. Roosevelt (1882-1945), President of the United States in a letter, February 26, 1937, to state governors, urging uniform soil and conservation laws.